In 1999, the death of King Hassan broke down the wall of secrecy that had been built to blind the masses as to the links between Morocco and the Mossad. The Independent reported in 1999: "The relationship, which stretched back almost 40 years, went beyond simple exchanges of intelligence on common Middle Eastern enemies. Israel reportedly trained Moroccan agents, supplied the King with tanks, and played a key - if subordinate - role in the assassination of an opposition leader." Although the corporate media reported that the Mossad's role in the assassination of political leaders was small, the truth is that its involvement went as deep as plotting an assassination against the King himself, an assassination which the Israeli secret service itself would foil in order to gain the good graces of the Moroccan monarchy. As Abreu Report wrote recently, the United States Central Intelligence Agency is operating in Morocco, using individuals of Dominican ancestry who are phenotypically identical to Moroccans, to destabilize Western Sahara, a former Spanish colony where a separatist movement threatens to rip apart the stability of Moroccan society. In 2013, one of our editors gained important information about the link between the Mossad and the CIA and how their activities pertained to Al-Qaeda in the Islamic Maghreb militant Mokhtar Belmokhtar. At the time we gained information alleging that the Algerian government had struck a secret deal with Belmokhtar to strike in Morocco, information which was recently confirmed with the release of highly-sensitive e-mails from Hillary Clinton's State Department. 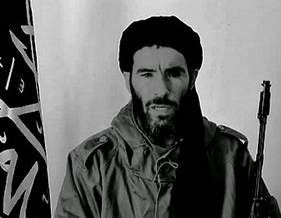 In January of 2013, we wrote: "Mokhtar Belmokhtar is perfect for the interests of the West... The new Bin Laden has been unveiled to us, and this one doesn't bother to hide the fact that he is blind to how the CIA will protect him, help him grow, make him powerful, and use him to scare the population into further submission." We had documents linking Belmokhtar not just to the Algerian government, but directly to the Mossad. Sadly, our editor's apartment was raided by Dutch police in January of 2013, with all of his documents confiscated and subsequently destroyed. Every single document in the apartment was thoroughly incinerated by the authorities, despite our editor never being convicted of a crime nor facing any charges beyond anything that would have yielded a fine. Some would say that the destruction of those documents was part of a conspiracy to protect the Mossad's role in destabilizing the Moroccan government and its direct backing of attacks via its proxy Mokhtar Belmokhtar, but we're sure it was all just all one big coincidence and that it was an accident much like the one which just recently destroyed crucial files from the headquarters of France's secretive DGSE.